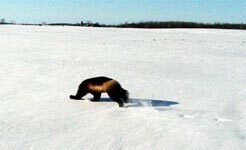 AP photographer on location in British Columbia mauled to death by wolverine. Police question local animals, optimistic that "justice will be served". This photo is all that remains. 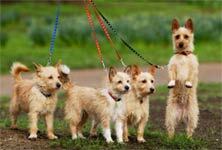 Reuters photographer eviscerated while getting background material on unexplained "dog walking-rage" phenomenon. 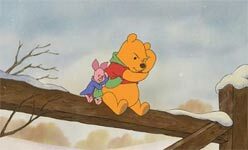 AP investigator cut down by Disney sniper after copying animation cel from canceled feature-length movie, "Pyrokinetic Pooh". <mypalmike> Perfect grammar. Funny, but not crass, with "mantra" linkage, and a hint of cherry flavors. My guess it Robert Mondavi 1997.